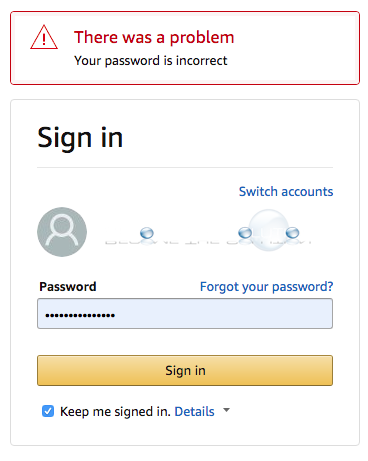 If you are attempting to login to your Amazon account, you may receive a message your password is incorrect even though you know the password is correct. This is most likely because you are already signed into an Amazon account. In some cases, for certain browsers does not automatically sign you out of your Amazon.com account when you attempt to sign in with another account. You will need to sing out of the previous account first. Go to Amazon.com -> Account & Lists -> Sign Out. You will be at the Amazon sign-in page. Attempt to login in again. 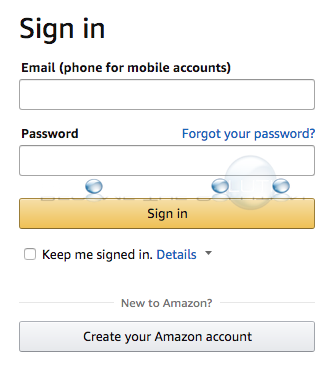 If you attempt too many login attempts before signing out, Amazon will email you a one-time passcode to register your device - but you will not need to do this if your issue is what is described above. See example email below. We apologize for the difficulties you may have experienced, when attempting to register a device or app to your Amazon account. For security reasons, we may require a two-step authentication process when registering certain devices and software applications. This One Time password is time sensitive, so you need to use it within 10 minutes of receiving our email. If your One Time Password expires, please reattempt to register your device with your Amazon account password to generate another One Time Password. Your Amazon account password has not been modified.